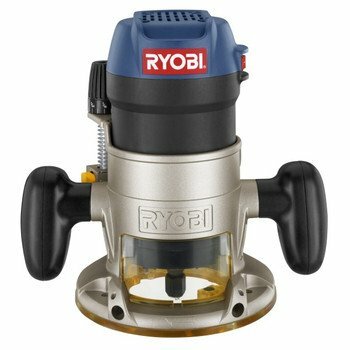 I picked up a Ryobi ZRR163K Router awhile back on the cheap for a specific project. While it's meant to be used as a hand router, I immediately needed a table for the type of work I was doing to speed things up and reduce errors. The problem is, at the time I needed it pretty quick. 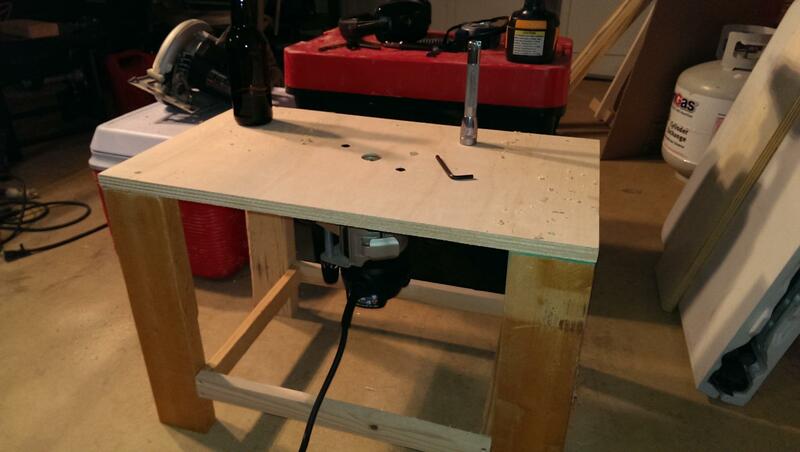 This is the result of some on-the-fly thinking and putting what I had on hand together to make a mini router table. I would probably put this in the poor man's router table category, but I use it all the time and it works great. I simply made a table using a 1 inch piece of plywood that is not warped. 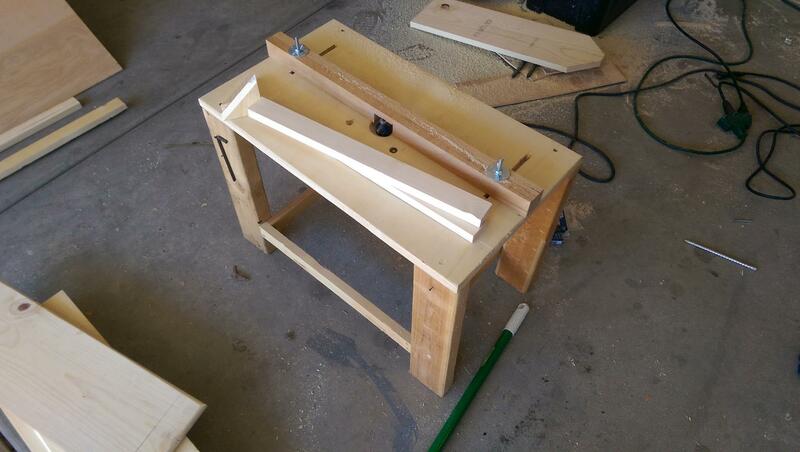 For the legs, I used scrap 2x4 lumber and made a leg brace out of 1x2 pieces. This also provides a place to put some weights to keep the table stationary (this is important with such a small, light table). I actually put about 50 pounds of barbell weights on it. I drilled a hole in the middle of the plywood, routed it out to give it more room for some big router bits, and mounted the router in it with some bolts. Then, I made a sliding bracket on the top for an adjustable wall. Here it is actually being used for a project. Simple, sweet, and gets the job done.